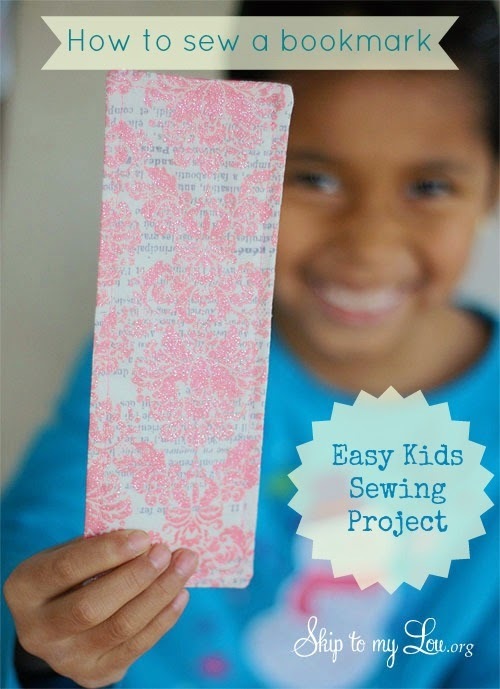 This bookmark tutorial was part of a kids sewing series on Skip to my Lou. They have a couple of other projects you can check out as well. These are just two little squares sewn together and turned. Really simple, just straight lines, but also a good project to teach turning and leaving an opening and that kind of thing. You could also make beanbags in pretty much the same way. 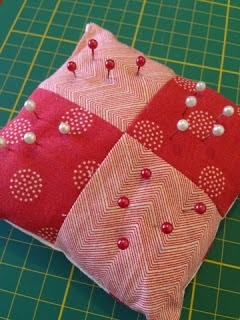 A simple little pincushion is another easy beginner project. This one is square with a pieced top but you could just do two solid squares or even circles. I remember one of the first projects we made in 7th grade sewing class was a round pincushion. We embroidered our initial on the top, sewed together two circles and stuffed it. If you want something similar to the last two but a little more complicated this might be a fun project to try. My daughter is 6 and I think that she has at least 3 teeth that are loose right now. She would probably think it was fun to make something like this. I would make something like the pincushion or hand warmers first and then move up to something like this since it has a few more steps. 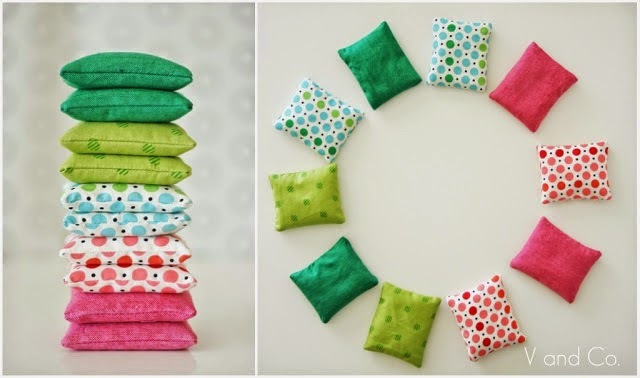 Pillowcases are simple to make and something they can use everyday. 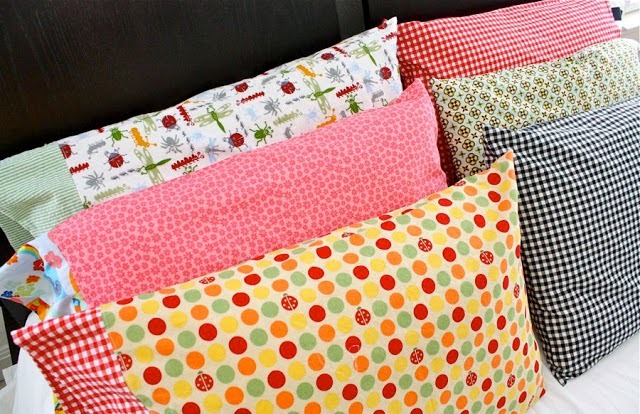 Kids can pick out fun fabrics and make pillowcases to use on their own beds. This version uses only one fabric. 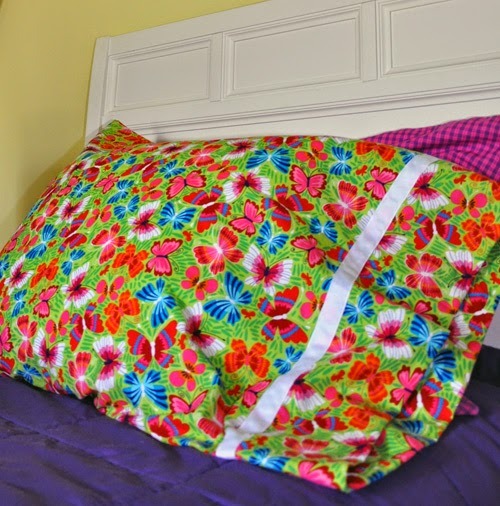 Another pillowcase option is to make a pillowcase with two fabrics, this is a fun way to do it because instead of picking only one fabric they can pick two. There are also tutorials using 3 fabrics but I was trying to keep it as simple as possible for beginners. 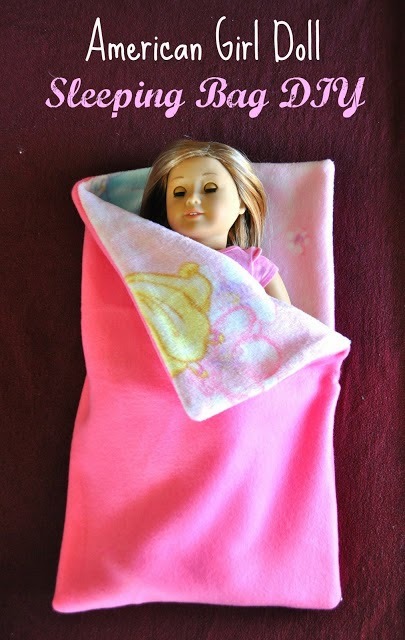 This is one thing that I am definitely planning to make with Eliza. 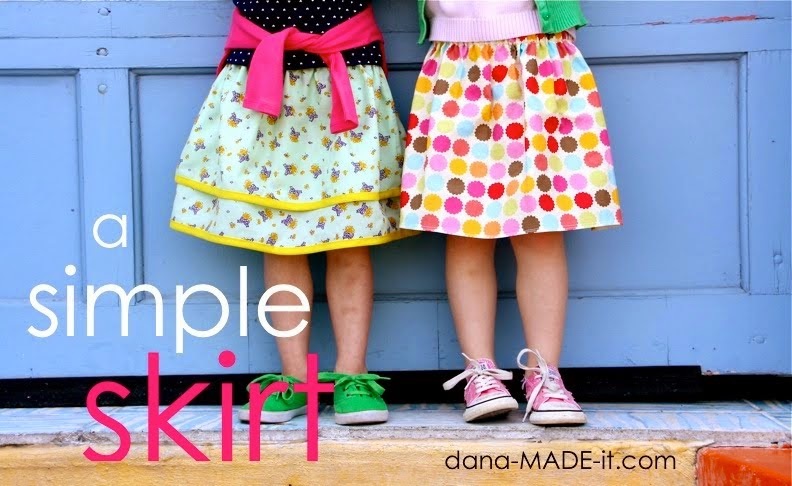 This kind of skirt is super easy to make and I think any little girl would think it was pretty cool to wear a skirt that they made themselves. I think we might even make some doll sized skirts to match. 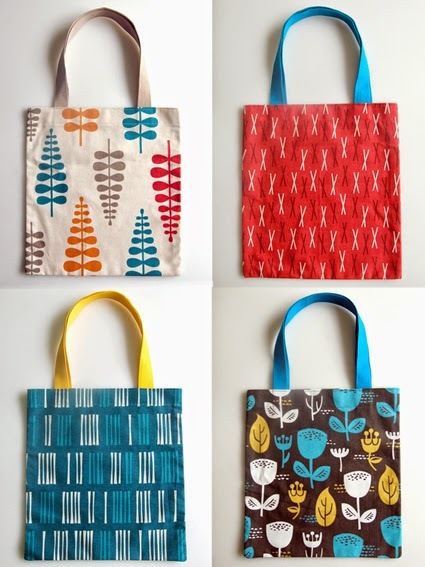 I thought a plain, simple tote bag would be a good thing to add to the list and I chose this one because it is very plain and simple. No boxed corners or pockets, the straps are made of webbing so you don't have to make straps, there isn't a lining. It doesn't really get much simpler than that. I threw this one in there because it is for American Girl dolls, which my daughter loves, but it might be a little more difficult than some of the others because of he way the opening is sewn. It still looked pretty easy though so I figured I would include it. 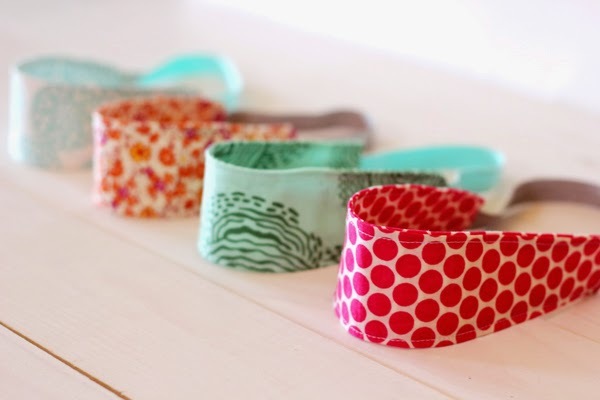 Everything else that I have included in this roundup has only straight lines, these headbands have a little bit more of a curve to them. For that reason this wouldn't be the first project I would try but once they are familiar with how the sewing machine I think that this would be an easy enough project to make. And again, they can have the satisfaction of making something that they can wear. 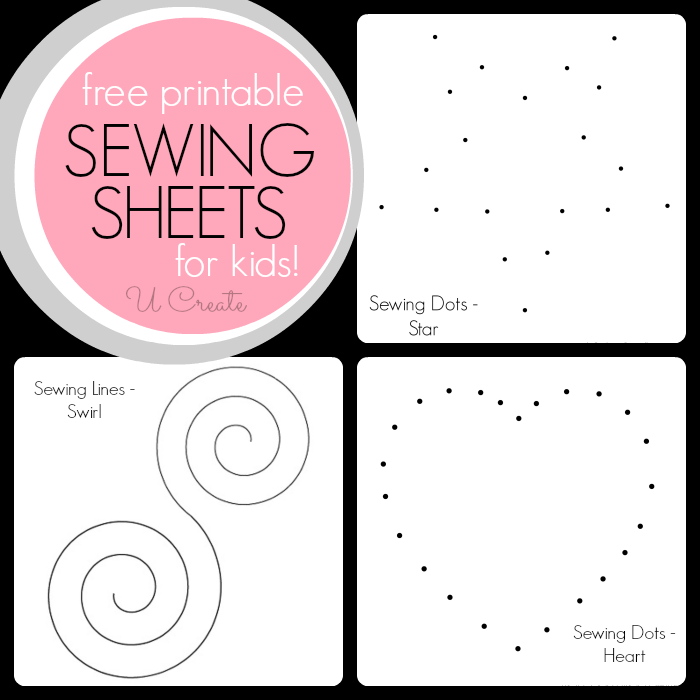 I thought I would also throw in the links to a couple of printable sewing sheets. 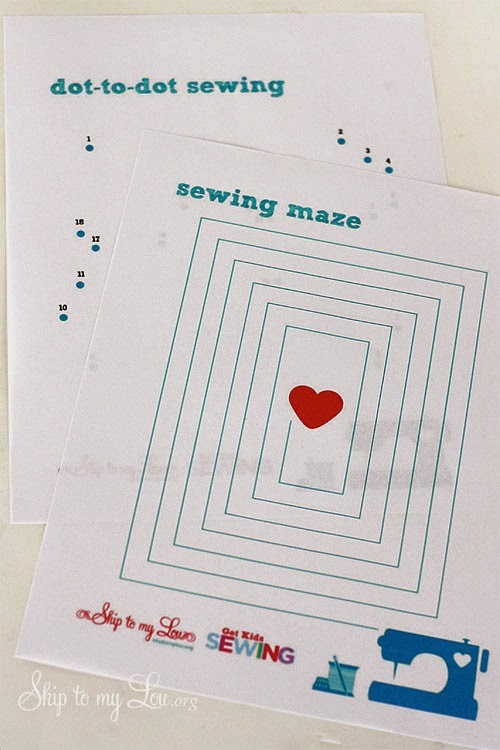 They can be a fun way for kids to learn how the machine feels and practice following a line. I found two different sets, the first is the one on the left and it is from U Create. You can find them here. The set on the right is from Skip to My Lou. You can find those ones here. 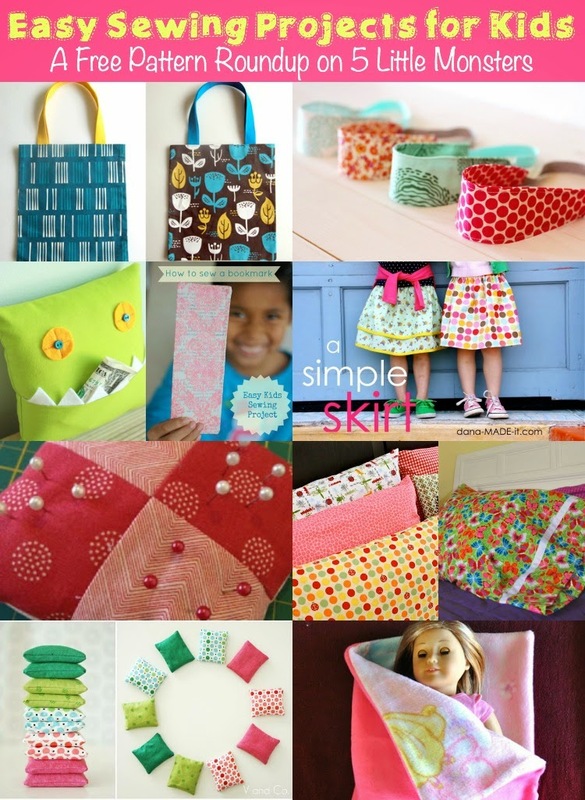 I can't wait to start teaching my daughter to sew and sharing some of our projects here. 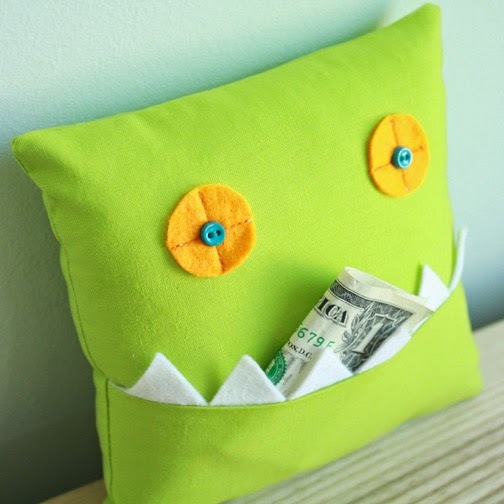 If you have little kids that want to learn to sew I hope you were able to find some inspiration here. Thanks for the memories and the NEW ideas that I didn't have back in the day! My kids, both boys learned embroidery and sewing (the elder) and crocheting from watching me do both but no real internet access or mobility on my part (again, joint issues) meant I had to REALLY improvise. I LOVE your creativity and appreciate that you share it at all in spite of being SO busy with your little monsters. I know you wouldn't trade your life with anyone's!!! Thank you for the idea of "A Tote Bag".I'll do it for my daughter's doll. It will be pink outside and blue inside.